Microbiology has traditionally relied on the culture of microorganisms using general or selective growth media. This methodology allowed the isolation and characterization of a myriad of microbes, but in the past three decades, the disadvantages of this approach have become evident, opening the scope to other methodologies in microbiological research. The uprising of the “omics” techniques has imposed a paradigm shift for biologists, changing the way that we formulate biological questions as well as the data acquisition, manipulation, and interpretation processes. Being a powerful tool as they are, the potential and creative applications of the “omics” methodologies to different fields remain a challenge. The outcome of “omics” techniques is purely analytical, and therefore it is disputed whether they can be of use to the biotechnological industry. 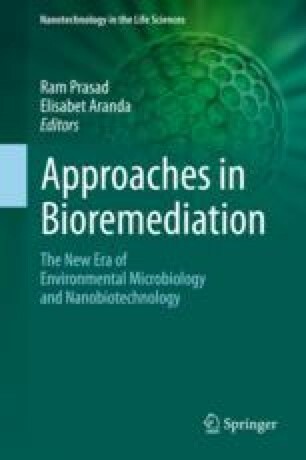 In this chapter, we describe the applications and impact of the different “omics” techniques in the bioremediation of polluted environments and in the generation of novel products that are of interest for this industry.